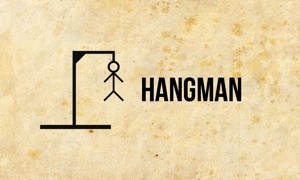 The traditional hangman word game, now for your iPhone, iPad or iPod touch. Play in English or Portuguese, with around 200,000 words in each language, for hours of fun. Increase your vocabulary, via single click access to the dictionary and online search of the word you played. Fast start for playing whenever you want. Handoff: start playing on your iPhone, iPad, iPod touch or Mac and continue on any other of those devices. Choose between dark and light appearance, or pick a custom background image from your own photo library. Also available for Apple TV and Mac. This version works on iPhone, iPad or iPod touch and allows you to install the Apple TV version without additional costs. Challenge your friends and share your scores and achievements using Game Center. We challenge you not to get addicted… if you can. But don’t get hanged!